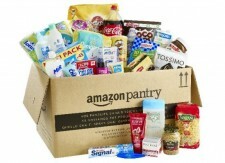 Offer is applicable only on all Amazon Pantry products. Offer is applicable only on Pantry orders paid entirely using Amazon Pay balance. If another payment instrument (Credit/Debit Card/Internet banking) is used along with Amazon Pay balance for the same order, then the customer will NOT be eligible for the offer. Offer is applicable from 19:00:00 hrs 8th Februrary, 2019 to 23:59:59 hrs 14th February, 2019. Customers can avail 15% cashback on Pantry orders worth Rs 600 or more. Maximum cashback Rs 300. Cashback will be credited in the form of Amazon Pay balance within 72 hours after the items are dispatched. If the order is dispatched in multiple shipments, the cashback would be credited proportionately as each shipment is dispatched. For example, if you buy two Pantry products, A of Rs 600 and B of Rs 400 in the same order and you are eligible for cashback of Rs 100 and the products get shipped separately, you will receive a cashback of Rs 60 when the product A is dispatched to you and Rs 40 when the product B is dispatched. The offer is valid only in cities where Amazon Pantry service is available. Amazon Pantry is currently present in Ambala, Bangalore, Chandigarh, Chennai, Dehradun, Delhi, Dharmapuri, Faridabad, Ghaziabad, Gurgaon, Howrah, Hyderabad, Jaipur, Kanchipuram, Kolkata, Mangalore, Manipal, Mohali, Mumbai, Mysore, Nashik, Noida, Panchkula, Panipat, Pondicherry, Pune, Rohtak, Secunderabad, Sonepat, Thane, Tumkur, Vellore, Vijayawada and Warangal.